Can Barclays’s Shrunken Investment Bank Still Compete? 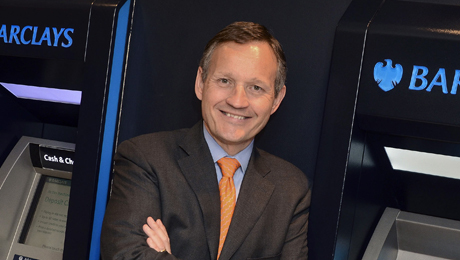 Seeking to change the bank’s business and culture, CEO Antony Jenkins is slashing his FICC franchise and scaling back Barclays’s global ambitions. Ever since the financial crisis, bankers have struggled to restore their reputations and reshape their businesses for todays harsher regulatory climate. Few have faced as hard a time of it as Antony Jenkins. For starters, the 53-year-old owes his job to scandal. Jenkins was thrust into the CEOs chair at Barclays just over two years ago, after his predecessor Robert Diamond Jr. was forced to resign over the banks efforts to manipulate Libor. 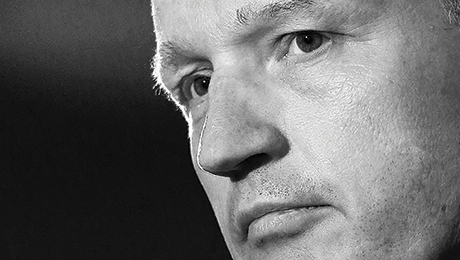 Having spent much of his career in corporate banking and having run the groups retail operations before the appointment, Jenkins had no real experience in investment banking, which Diamond had built into Barclays main profit engine but later became the groups biggest source of reputational and regulatory risk. Whats more, Jenkinss first attempt to put his stamp on the group, with a modest restructuring of the investment banking division last year, was effectively torpedoed by U.K. regulators, who raised capital requirements on the sector much higher  and sooner  than Barclays and others had expected. Today, Jenkins is in the midst of a much more radical restructuring that seeks to dismantle much of the house that Diamond built. Under a plan announced in May, dubbed Project Electra, the CEO is taking a knife to the fixed-income business that was the heart of the investment bank, slashing its balance sheet nearly in half and cutting 7,000 jobs, or some 25 percent of the staff. The moves aim to transform the unit from a trading-oriented powerhouse into a business focused on originating stock and bond offerings and providing merger advice  activities that require much less capital than the big fixed-income, currencies and commodities (FICC) trading desks of yesterday. Currently, the investment bank is too exposed to volatility in FICC, and the group is too exposed to volatility in the investment bank, Jenkins said in announcing the changes. He is also pulling in the banks horns geographically, abandoning efforts to build a full-service capability in Asia and focusing on what he considers its home markets, the U.K. and the U.S. Many banks are trimming their sails in response to todays new regulatory environment. The Basel III accord, drawn up in response to the 200809 global financial crisis, has raised capital requirements substantially for banks, particularly on the big trading books that have driven the industrys profits over the past 20 to 30 years. Some governments have imposed outright bans on certain activities, such as the Volcker rules prohibition on proprietary trading in the U.S. Yet cutbacks on the scale that Jenkins is making, which go far deeper than those of most of his rivals, pose significant risks. Sharp head count reductions could demoralize staff and drive away big rainmakers, while whacking the balance sheet could undermine the banks ability to compete for underwriting or M&A mandates. Anglo-Australian mining giant BHP Billiton dropped Barclays as its corporate broker in February because the bank reneged on Diamonds commitment to extend its Asian equities business to Australia. They have to start putting the numbers up and showing that the core businesses can remain intact and start to grow while they are cutting costs and winding down the noncore business, says a fund manager at one firm thats a long-term holder of the banks shares. Many investment banks are resizing their operations for todays climate. Deutsche Bank is shedding longer-dated assets and getting out of the physical commodities business, but unlike Barclays, the German bank still wants to be seen as a FICC powerhouse. It helps that the banks cochief executive Anshu Jain came up through the fixed-income business. The two big Swiss banks have carried out more-extensive restructurings in response to the imposition by Swiss regulators of some of the worlds most stringent capital requirements. In 2012, UBS reduced the size of its investment bank by a third and shut down parts of its fixed-income empire, such as sovereign bond dealing. The bank now relies heavily on foreign exchange trading as a central plank of its slimmed-down FICC business, with as much as 70 percent of its currency volume coming from high-velocity electronic trading. Andrea Orcel, who runs the investment bank, has turned the division into a lean unit with Sf8 billion ($8.4 billion) of capital.Credit Suisse has pared back parts of its fixed-income business, exited commodities trading and cut bankers in its European corporate finance business while maintaining its strengths in leveraged finance, high yield and equities. The about-face at Barclays is all the more dramatic because the company had carried out the last great build in investment banking. Diamond, a former bond trader at Morgan Stanley and the old Credit Suisse First Boston, came to Barclays in 1996, just before the bank pulled the plug on its equities business. Most of the industry gave the bank up for dead, but Diamond stayed and built a focused fixed-income business under the name Barclays Capital. When Lehman Brothers Holdings collapsed, sparking the 2008 meltdown, Diamond moved boldly to snap up its U.S. broker-dealer subsidiary. Virtually overnight he acquired a leading equity franchise and M&A capability in the U.S., and began building out that platform globally with the aim of becoming a top five player. Pretax profits at Barclays investment bank slumped 46 percent in the first half of this year, to £1.1 billion. While revenue from the units banking business, which comprises debt and equity underwriting and advisory, rose 5 percent, to £1.3 billion, the markets division, comprising equities and fixed-income trading, suffered a 22 percent drop in revenue, to £2.9 billion. The groups overall pretax profits dropped 10 percent in the first half, to £3.8 billion, as gains in personal and corporate banking and Barclaycard partly offset the declines in the investment bank. On October 30, the bank reported weak third quarter results that underscored the difficulties it faces. Investment banking revenue fell 10 percent in the period, to £1.66 billion, with underwriting and advisory fees dropping 22 percent and markets revenue falling 10 percent. The unit's pretax profit tumbled 39 percent, to £284 million. The bank also took a £500 million charge to cover potential costs from investigations into allegations of price fixing in the foreign exchange market. Barclays has largely held its ranking in the league tables, although it remains outside the top three to five positions that Diamond targeted. It ranked eighth in global corporate finance revenue in the first nine months of 2014, with $2.7 billion in fees and a 4.5 percent market share, according to data provider Dealogic. It trailed Deutsche Bank, which was in fifth place with a 5.5 percent share, and Credit Suisse, in seventh place. UBS ranked ninth. In the U.S., Barclays slipped one place to the No. 7 position, one spot ahead of Deutsche. In Europe, however, Barclays trailed in eighth place, well behind market leader Deutsche. His words had the opposite effect. In June 2012, when Barclays agreed to pay $453 million in fines to settle allegations that its bankers had colluded to manipulate Libor, the most widely used interest rate benchmark in global banking, Mervyn King, governor of the Bank of England, insisted that Diamond step down to take responsibility. The scandal also claimed the scalp of Jerry del Missier, a close ally of Diamonds who ran the investment bank. Jenkins has had plenty of rocky moments of his own since taking over in August 2012. He promised to clean up Barclays act and its reputation, prompting wags to call him St. Antony. Just before Diamond departed, he had appointed Anthony Salz, one of the City of Londons most preeminent lawyers, to conduct a review of the banks practices. Salzs report, published in January 2013, painted a picture of a freewheeling, aggressive culture that had adopted a high-handed approach to regulators. The following month Jenkins announced Project Transform, which pared down the investment bank but retained its commitment to a fixed-income-led universal banking model. It proved to be not transformative enough. In June 2013 the Prudential Regulation Authority, the central banks tough new banking supervisory arm, demanded that U.K. banks achieve a minimum leverage ratio of 3 percent. 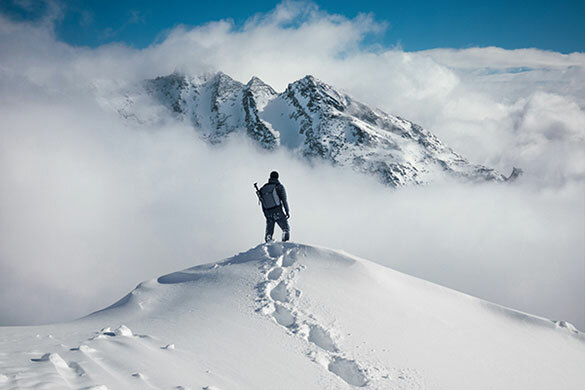 The leverage ratio measures capital as a percentage of total assets and represents a major shift from the practice of basing capital on risk-weighted assets. The Group of 20 nations has embraced the leverage ratio as an added tool to contain systemic risk because it effectively raises the amount of capital banks are required to hold. The Basel Committee on Banking Supervision is adding the leverage ratio to the Basel III accord, and European Union regulators are incorporating it into a capital requirements directive that will go into effect next year. But the PRA demanded that U.K. banks achieve the 3 percent target by June 2014, a year ahead of the EU timetable. With Barclays leverage ratio languishing at 2.5 percent, Jenkins suddenly found himself with a £12.8 billion capital shortfall on his balance sheet. On a tense conference call with investors, Jenkins didnt have an answer when asked whether he would need to go back to the drawing board and change his strategy. That was a mistake, not to have worked out the detail, says one top ten investor in the bank. It didnt help that Jenkins was short-handed. Longtime CFO Christopher Lucas had stepped down because of illness, and his replacement, Tushar Morzaria, a 45-year-old former CFO at JP­Morgan Chase & Co.s investment bank, had not yet joined Barclays. When Morzaria came on board in the autumn of 2013, he and Jenkins began a root-and-branch review of the investment bank with the units co-heads, King and Eric Bommensath, a fixed-income specialist. They quickly realized that Basel IIIs higher capital standards were about to make many parts of Barclays trading empire unprofitable. At the end of 2013, the investment bank held £150 billion of risk-weighted assets. On January 1, 2014, when Barclays adopted Basel III, the revised rule books stricter definition of risk weights caused those assets to balloon to £220 billion. Compounding matters, earlier this year Jenkins got dragged into the ongoing row over bankers bonuses after Barclays disclosed he had boosted pay at the investment bank despite a fall in revenues in 2013, to fend off poaching raids from rivals in the U.S. Shortly after Jenkins announced the Electra strategy and its steep cutbacks, Deutsches Jain restated his banks commitment to its fixed-income business and proclaimed Deutsche to be Europes last man standing in global investment banking. Deutsche has traditionally relied much more heavily on investment banking than Barclays has; its business posted a return on equity of 15 percent in the first half, well above the British banks 5.7 percent. BARCLAYS HAS GOTTEN OFF TO A solid start on the restructuring. At an investor conference in September, King said the bank had cut 2,700 of the 7,000 targeted jobs in the investment bank. Operating expenses in the unit fell 8 percent in the first half of 2014 from a year earlier. Jenkins has also made progress in trimming the balance sheet. Under Electra, Barclays is taking £90 billion of underperforming assets  including interest rate derivatives and commodities positions  from the investment bank and placing them in a noncore division run by Bommensath. This unit will hold an additional £25 billion in unwanted assets from other parts of Barclays, including its European retail operations; the bank will seek to work these assets down over a period of years. At the end of August, Barclays announced the sale of its Spanish retail banking operations, with some £8 billion in assets, to CaixaBank. Barclays took a £500 million hit on the sale, but the reduction in assets improved the groups tier-1 capital ratio by 0.12 percentage point. Jenkins will be judged not just on how quickly Barclays can wind down its noncore operations but also on how much capital it can release, says Raul Sinha, an analyst at JPMorgan Chase. Its a fine line. For the first half of 2014, the noncore bank recorded a posttax loss of £464 million, but the equity allocated to it fell to £14.2 billion from £16.7 billion. That means that £2 billion of real value has returned from the noncore bank to Barclays continuing operations. Thats a good start, says Old Mutuals James. Barclays remains trouble-prone, however, even in transition. In June, just weeks after Jenkins unveiled Project Electra, the bank was preparing to issue a bond when news flashed on traders screens: New York State Attorney General Eric Schneiderman was suing Barclays, alleging that the bank had deceived investors using its equity-trading dark pool by allowing high frequency traders into the pool, something the bank had said it would not do. Barclays immediately pulled the planned bond offering and began investigating the allegations. After a monthlong investigation, Barclays concluded that there was no case to answer and filed a motion to dismiss the suit. We spent an enormous amount of resources, internal and external, really pulling that business apart to make sure that the business did what we said it was doing, King told investors and analysts at the Barclays Global Financial Services Conference in New York on September 8. In addition, Barclays is one of six big banks being investigated by the U.K.s Financial Conduct Authority for the alleged rigging of benchmarks in the foreign exchange market. The bank has also spent some £3.5 billion to settle U.K. claims that its retail unit missold payment protection, a form of insurance that banks provided to customers on everything from loans to credit cards. During the first half of 2014, Barclays set aside a further £358 million in litigation reserves. And as if Jenkins doesnt have enough to do, he has to ring fence the banks U.K. retail and commercial operations from its investment banking activities. The PRA has given banks until January 6 to present detailed plans for separately capitalizing their retail banking businesses to protect consumers from any blowups in investment banking. CAN THE DOWNSIZED BARCLAYS still compete in investment banking? King is confident the answer is yes. A quiet, cerebral American, King started his career at Salomon Brothers in 1985, working on the banks technology M&A team. He advised WorldCom on its acquisition of MCI Communications Corp. He was always more comfortable behind the scenes, though, coaxing the best out of those around him. When Citi merged with Salomon Smith Barney in 2000, King excelled in the big organization, rising to head up the firms M&A and investment banking divisions. He jumped to Barclays London headquarters in 2009, just as the Lehman acquisition was starting to bear fruit. Lehmans North American operations propelled Barclays Capital into the bulge bracket, giving it a top five ranking in U.S. M&A to complement its existing strength in debt capital markets. King was handed the task of replicating the model in Europe, expanding Barclays beyond its roots in fixed income to equity capital markets and advisory. When I joined Barclays, I saw it as a once-in-a-generation opportunity to build a corporate finance business, King tells II. Hes determined to retain the advisory business, but hell have to do it with his own people. Kings ascension and the cutbacks under the Electra program prompted the departures of some of Barclays biggest rainmakers, including co-CEO of U.S. corporate and investment banking Hugh (Skip) McGee III, Ros Stephenson and Paul Parker. McGee, a larger-than-life Texan who ran M&A at Lehman, was instrumental in the sale to Barclays. He shared Diamonds ambition and in 2010 extolled the virtues of having the support of Barclays balance sheet. Weve got a big-boy checkbook, he said at the time. In their place King has appointed a number of former Lehmanites, as well as some more-recent hires. He tapped Gary Posternack, a former head of M&A at Lehman, to run M&A globally. The banking business, which comprises corporate finance activities, is run jointly by Joe McGrath, who also joined Barclays through the Lehman acquisition, and Richard Taylor, a London-based banker whom King recruited from BofA Merrill in 2011. Since May the bank has hired 19 senior bankers in corporate finance and worked on a number of big M&A and financing deals. It advised and provided $5 billion of financing to help U.S. pipeline operator Kinder Morgan restructure its master limited partnership, and arranged a $6 billion bridge facility to finance Williams Cos. purchase of a controlling stake in Access Midstream Partners, a natural-gas services company. The bank also acted as lead arranger and joint book runner for £6.6 billion of bridge and term loan facilities for U.K. satellite broadcaster British Sky Broadcasting Group to finance its purchase of the Italian and German pay TV businesses of Rupert Murdochs 21st Century Fox, BSkyBs controlling shareholder. The focus on the U.K. and the U.S. has come at the expense of Asia, where Barclays has yet to articulate a clear strategy for competing in selective areas, a fact that cost it the business of Melbourne-based BHP Billiton. We now look at Asia in terms of finding an operating model that is economic, that completes the global footprint and is accretive, King says. King insists Barclays can continue to be a big fixed-income player thanks in part to greater reliance on technology. Automation brings cost-saving opportunities, he notes. The bank will focus on shorter-duration, clearable instruments rather than on long-dated bonds and bespoke derivatives. The adoption of centralized clearing for derivatives products has turned them into liquid flow products, explains Felder. So far, Barclays has managed to hold its own. The bank ranked fifth in U.S. fixed-income trading in the third quarter of 2014, with a 10.3 percent market share, up slightly from 10.1 percent in 2013, according to Greenwich Associates. The low-interest-rate environment created by central bank bond purchases has depressed volatility and reduced the need for investors to hedge their portfolios. FICC revenues have evaporated across the industry, and 2014 is on track to be the industrys worst year since 2005, according to a recent report by Boston Consulting Group. All banks are adjusting their fixed-income businesses, but players such as Citigroup, Deutsche, Goldman Sachs Group and JP­Morgan Chase believe part of the decline is cyclical and that revenues will recover when interest rates rise. With volatility ticking up recently, JPMorgan Chase, Goldman and Citigroup all posted stronger FICC revenues in the third quarter. Banks are not pulling back; they are reorganizing their FICC divisions into what will be e-trading dealing models, says Russell Dinnage, a senior consultant at capital markets consulting firm GreySpark Partners. For now Jenkins is confident he has put Barclays on a path to renewed health, on a scale that makes sense in todays climate, but after two years in the hot seat, he acknowledges that some things will remain outside his control. This story was updated on October 30 to include Barclays's third quarter results.